Several of Rodin's and Michelangelo's works. Designs for the San Giovanni dei Fiorentini church by Michelangelo. Studies for the head of Leda, by Michelangelo. 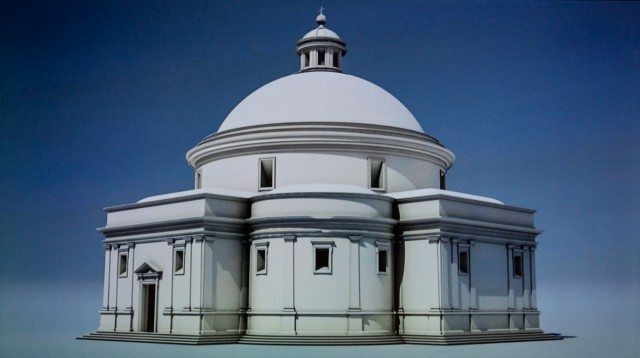 3D modelling of Michelangelo's design for the Church of San Giovanni dei Fiorentini. Rodin's <em>The Thinker</em> and the greater work of which it was originally intended to be part. Fortifications for the Porta al Prato in Florence by Michelangelo. Thirty rare unfinished drawings by Renaissance master Michelangelo have come to the Art Gallery of Ontario. The new exhibit Michelangelo: Quest for Genius offers a unique glimpse at the artist’s creative process, his frustrations, and even his failures, humanizing a man often held up to be untouchable. The drawings include preparatory sketches for some of Michelangelo’s most famous works, ornate gifts the artist intended for men he loved, and dreamed up plans for sculptures, paintings, and buildings that were never realized. The changing whims and fortunes of his patrons, the volatile political climate of the Florentine Republic he called home, and the artist’s financial concerns conspired to deny his creative impulse time and time again. Michelangelo: Quest for Genius opens Saturday, October 18 at the AGO and will run until Sunday, January 11.